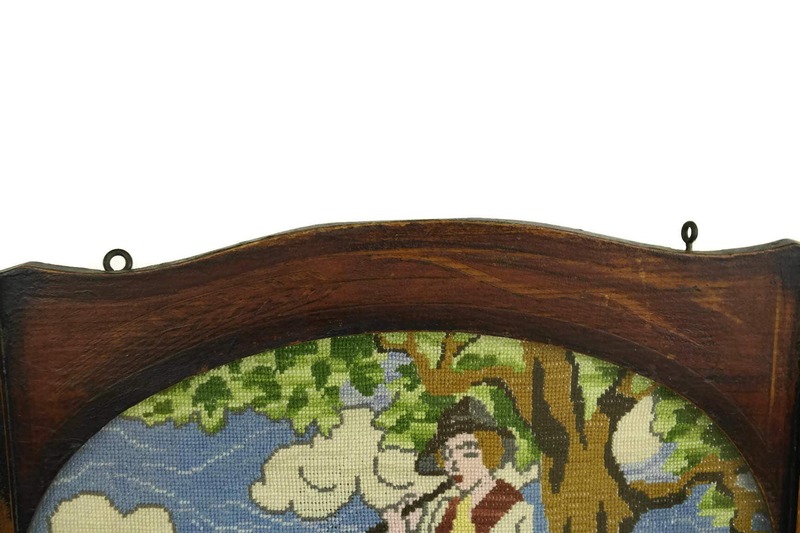 French Tapestry in Wooden Art Deco Picture Frame. 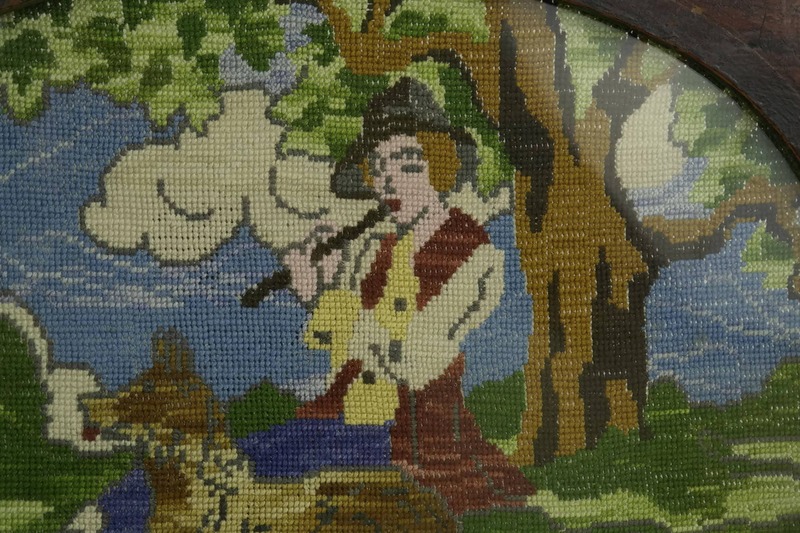 Vintage French Needlepoint Art. 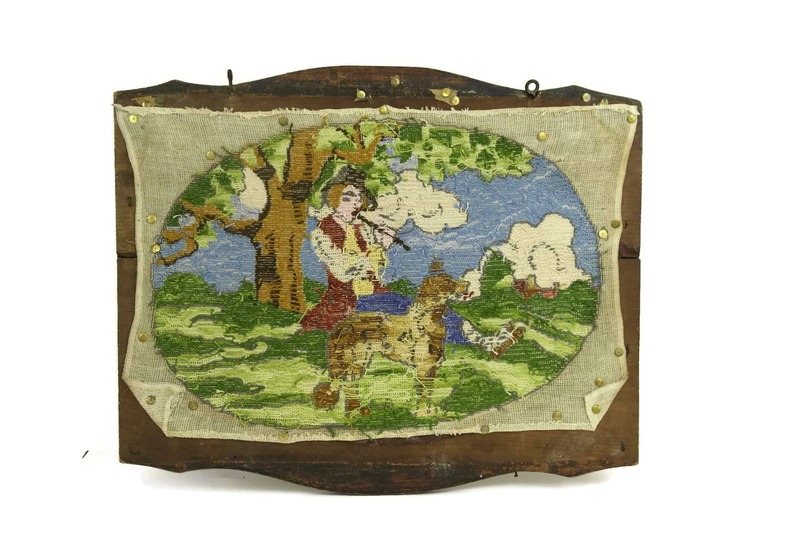 A charming vintage French tapestry dating to the 1930s. 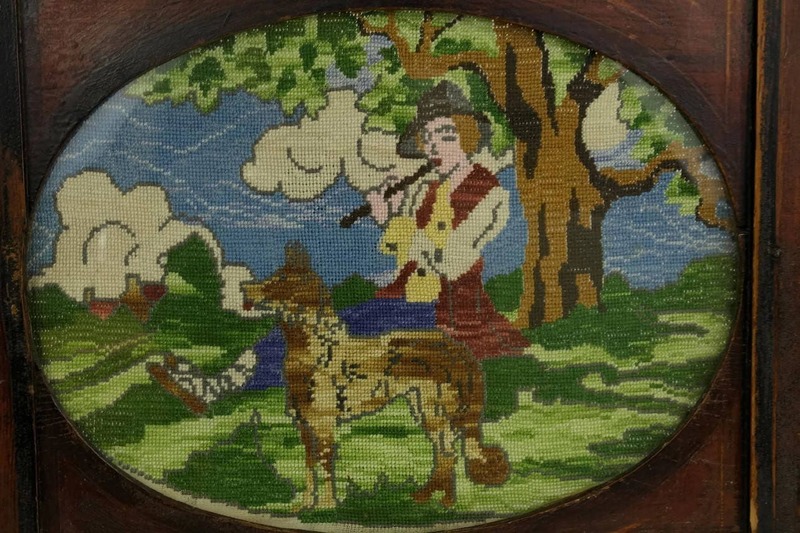 It features the scene of shepherd playing his flute under a tree. 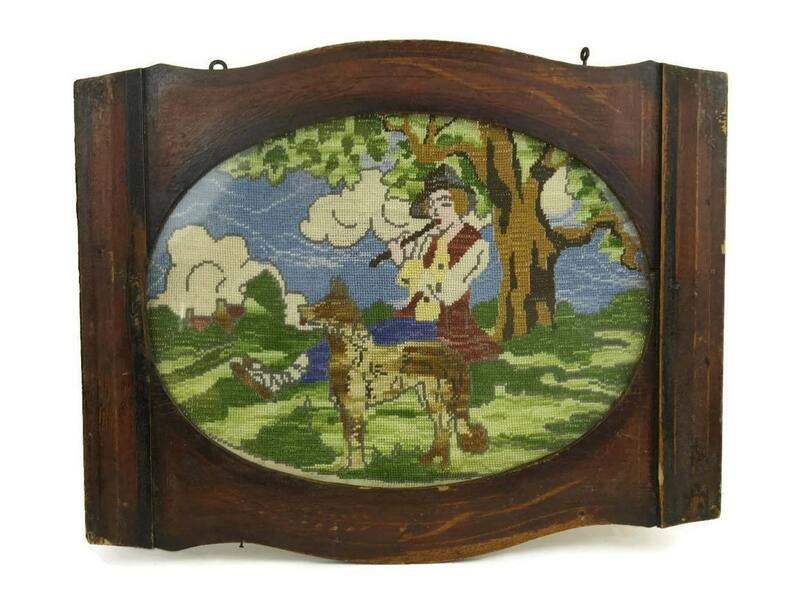 The vibrantly coloured needlework portrait has been framed behind glass in an Art Deco picture frame. Including the frame 18" tall x 22" wide (46cm x 56cm). The framed French tapestry is in good condition with patina and wear to the frame.